60% of polar bears are found in Canada, most of the world’s maple syrup comes from Quebec, Canada ranks to the countries with the lowest corruption rate, and is the origin of basketball. 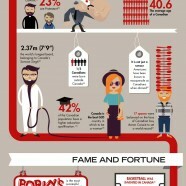 Some of the the facts that make Canada a wonderful place to live. Discover the rest.